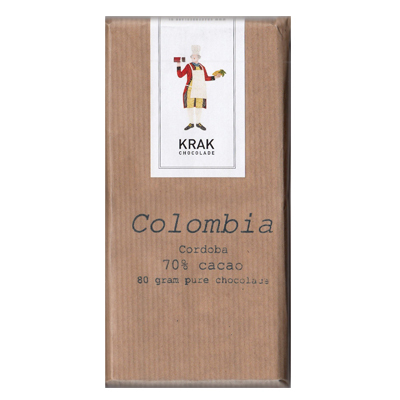 This bar from Dutch maker Krak is crafted from Columbian cacao. 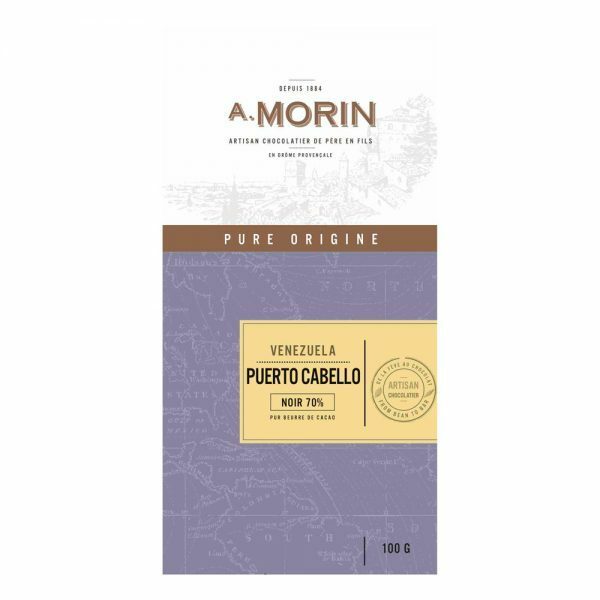 Columbia is a nation with a rich history of cacao growth, but sadly a great deal of cacao production has been interrupted over the past few decades by the growth of the international drugs trade. 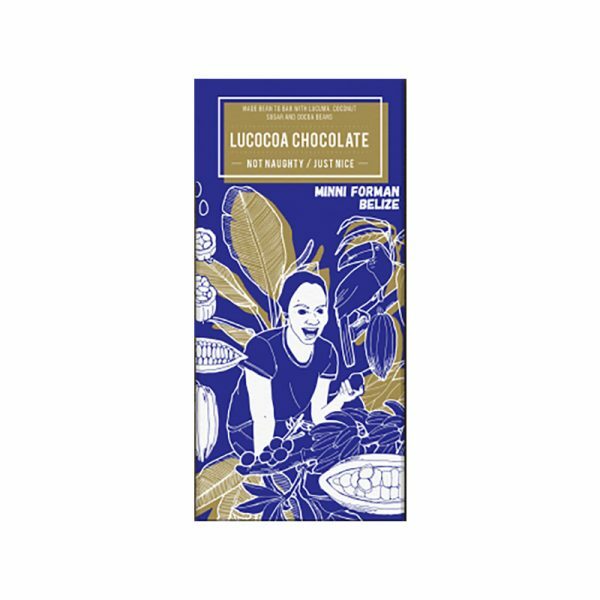 Happily, we are now seeing a resurgence of cacao farming in Colombia, with a farmers across a number of regions choosing to return to cocoa instead of coca. One of the main motivations for these farmers is the growth of direct trade of cocoa. 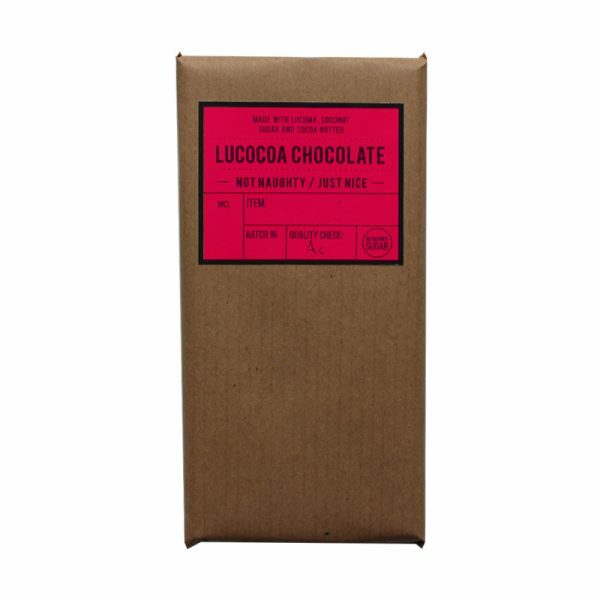 The cacao now commands a premium price, and craft chocolate makers are now able to make single origin bars from Columbian cacao. Cordoba is a region in the north-west of Colombia. This beans for this bar have been lightly roasted and then subjected to a medium conche. 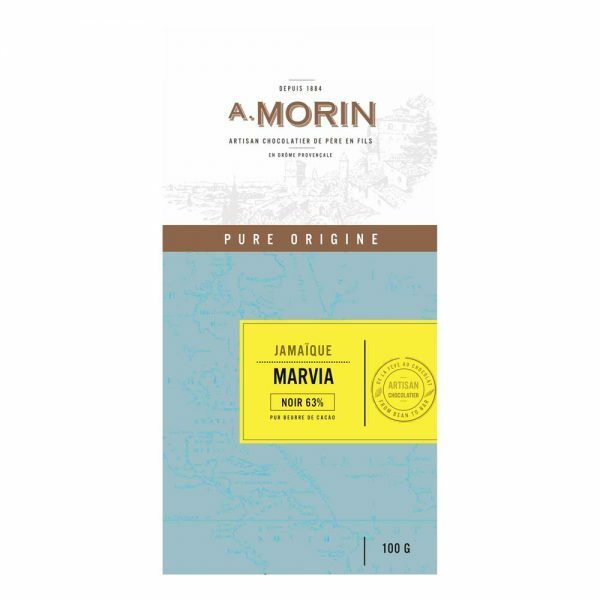 When we tasted it, we found it to have a strong body with a medium acidity. There is a low bitterness, wine and ripe red fruit with oak notes.